"Just everything that I've gone through the last six months, or even a year for that matter, or the last five years where I didn't win a slam, where I was doing the right things but you don't know if it's ever going to pay off, you know? 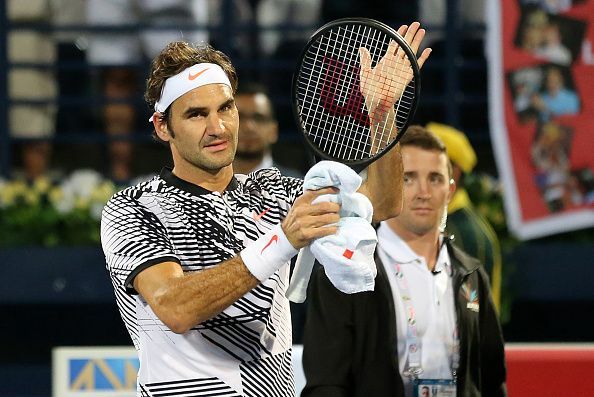 I feel this was very much a team victory this one', Federer said, as quoted by tennisworldusa.org. Federer returned to the courts for the first time since Australia at the Dubai Tennis Championships this week, but has indicated that he will take more breaks during the course of the season. Winning Grand Slam titles is the former world number one's main goal and he is aware that Wimbledon is his best chance of another major title this year. The Swiss maestro is unlikely to miss French Open in May, but suggested that he could cut short his clay court season in order to be in peak condition when he arrives at SW17 in July. Federer is coming back from a long-term injury and is uncertain about exerting himself by playing four clay court tournaments like in the past. "I know the French Open is going to be hard just because I would have to put in so much work during the clay-court season even to be perfectly ready for it and even then there is no guarantee," Federer said, as quoted by the Times. "I have to ask myself the question, how much am I going to put into it? "At Wimbledon and the US Open I always have chances as long as I'm playing and am healthy. The courts suit me. The goal will be Wimbledon. I know this is where I have my best chance and I hope to be at 100 per cent. "I will only decide on the clay-court swing after Miami. In my best years I played three, sometimes four [clay] tournaments. That's always going to be a hard ask right now - the body also needs some healing again," the Swiss star added.